Mold is a serious problem and can become a huge concern, especially for homeowners and those who own properties. Bloomfield Construction is here to help and has years of experience in mold removal services. Mold is present almost everywhere; it can be found on the walls and cieling of any room in the house including the living room, comfort rooms, bedrooms and kitchen. Molds are fungi that play a significant role outdoors, but they definitely have no place indoors, specifically in your home. Different kinds of molds grow with the presence of moisture and water. If you are looking for an expert in treating molds and stopping the source, Bloomfield Construction can help. Call Now for mold removal services! On some policies, mold can even be a covered claim! Contact Bloomfield Construction today for a thermal inspection of your home using the latest technologies to detect hidden moisture or leaks in your home. We provide mold removal services in Oakland County and surround areas. Our team will work directly with your insurance company and makes the process as easy and stress free as possible. Call (248)333-3987 for a free consultation! 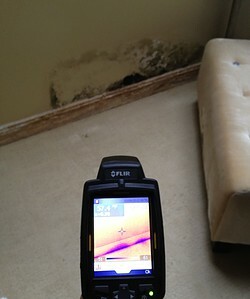 Get A Mold Removal Repair Estimate, Fast.